What does a car look like? Where does the idea come from to create a car? What’s the story behind the car? Those are all questions Executive Director of GM Advanced Global Design Clay Dean discusses in this video. 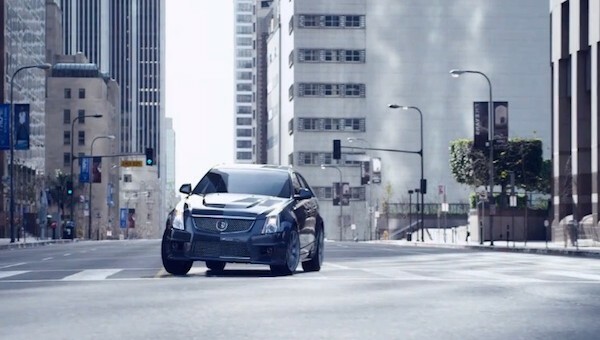 The Caddy CTS SportWagon, therefore, is a “risk” as far as the vehicle’s design language is concerned. But design is very subjective — and, according to Dean, it’s important to know the customer and ask questions such as: What are they motived by? What are they like? What are they inspired by? What are some things that captivate their imagination? Knowing the answers to these questions allows the Wreath and Crest to take risks — but only as long as “you know where you’re going.” At the end of the day, Caddy wants to “be the standard that people judge other things by” — and we support that kind of mind set unequivocally.